In the ripe rice season, the terraced rice field in Hoang Su Phi (Ha Giang) is beautifully seductive by the winding stream, showing soft curves with mountains and forests. 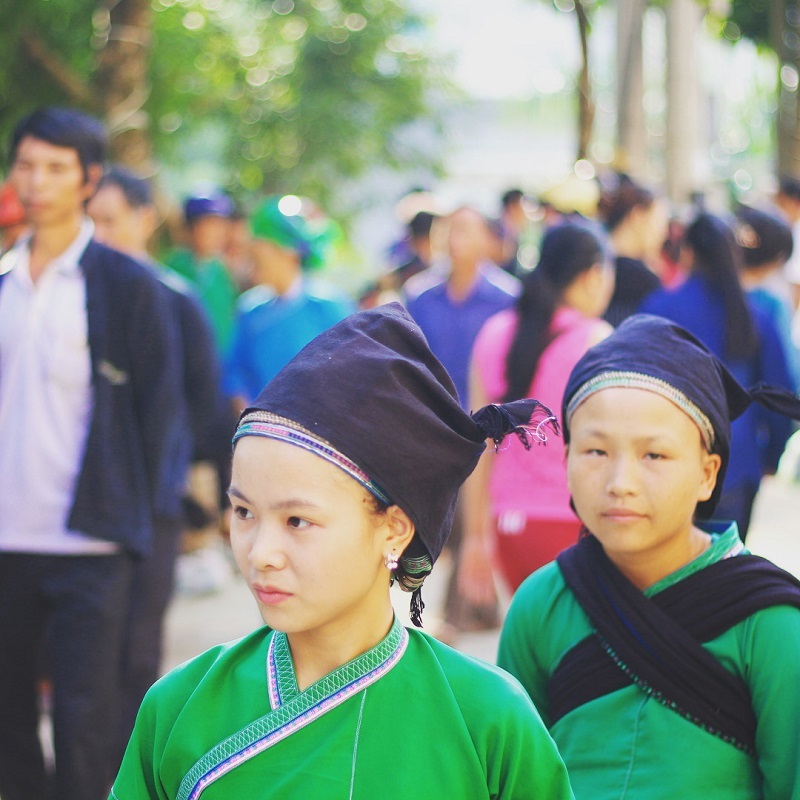 Every year, from the end of September to the beginning of October, the tourists bustle go to Ha Giang. 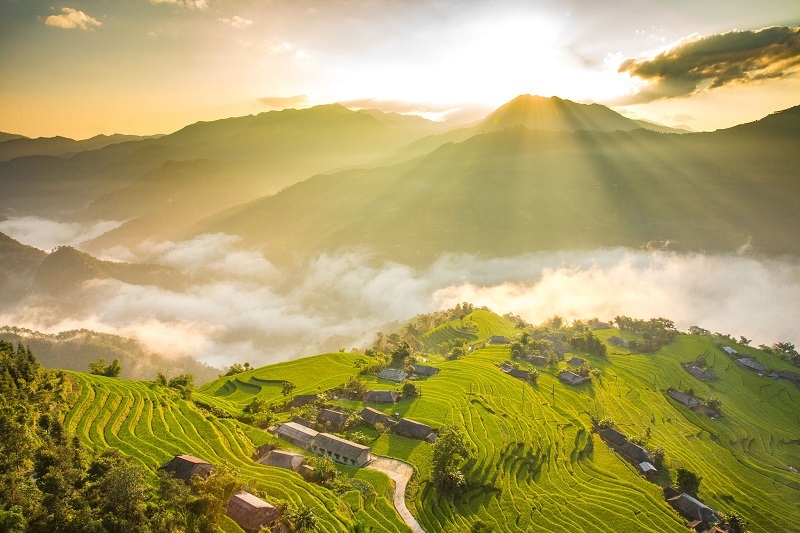 They do not want to miss the beautiful scenery when the rice on the terraced fields turn golden. One of the streets that attracts visitors is Hoang Su Phi land, located at the foot of Tay Con Linh mountain. 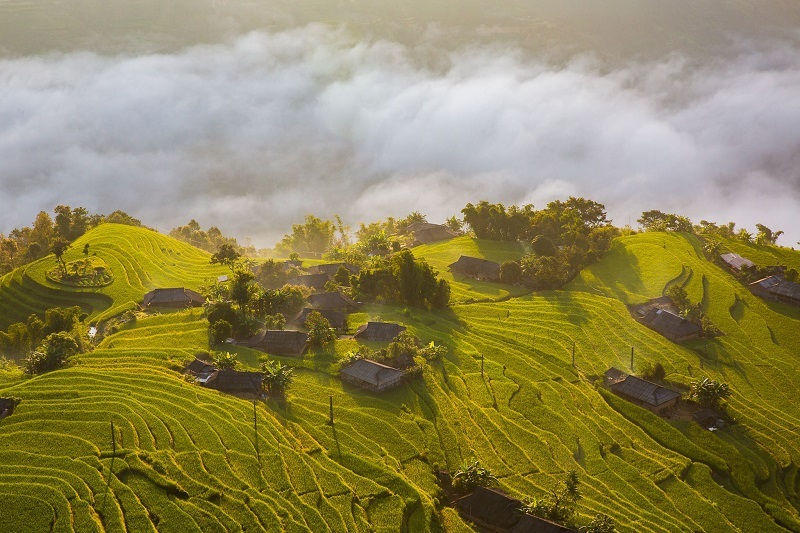 Standing in front of the vast landscape, visitors will not be surprised to see thousands of terraced fields spread out over the hills, winding around the hillside, mountain back. The clouds, the sunshine here as embellishment for the picture yellow season. The aroma of new paddy rice warmed the villagers' heart. Many people often refer to the valley as the beautiful girl next to the stream winding, showing soft curves with mountains and forests. Each ray of sun shines down on the top of the mountain, wading through the clouds to create a beautiful sky scenery. Picture: Hoang Tuan. In addition to photography and sightseeing, visitors to this place can now participate in experiential activities such as catching carp, harvest and do Cốm. In addition, you can watch rituals related to agricultural beliefs such as new rice festival and local people's Dong Kho festival. Come to Hoang Su Phi, you do not forget to try the specialties of this land. The rat is one of them. If people treat pork meat is a daily dish, with the La Chi ethnic, it is rat. They can process mice into many delicious dishes such as grilled, fried and smoked. 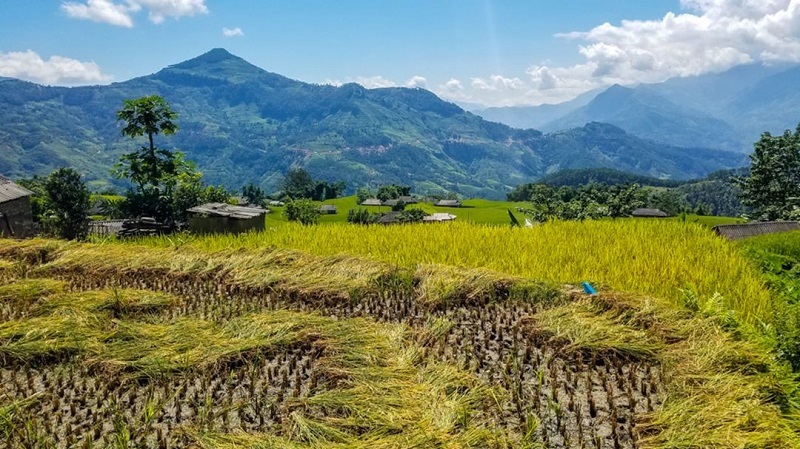 Ha Giang and the northern mountainous provinces of Vietnam are the most attractive destinations of Vietnam in the autumn months. What are you waiting for? Choose the right Vietnam holiday packages and come to Vietnam for the attractive experience.